Kalamazoo, MI: Kalamazoo Public Safety is requesting the public’s help in locating a voluntarily missing adult to check on his well being. 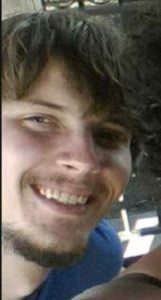 Nathaniel Christopher Ratliff, 3/8/94, white male, 5’07” 130 lbs, brown hair, blue eyes, with a tattoo on his upper right arm that says “Fighter”, was last seen in the 3700 block of S Park St on 10/30/16. He left his wallet, cell phone, keys, car and laptop at his home. He has not shown up to work since 10/28/16 and this is very uncharacteristic of him. Neither family nor friends have heard from him and they would like to make sure that he is ok.
Ratliff doesn’t suffer from any medical or mental issues.